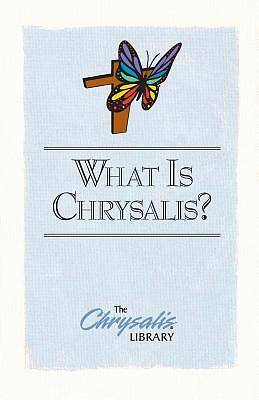 The Chrysalis/Emmaus Library Series - What is Chrysalis? In Chrysalis, a metamorphosis begins for young people; a transformation from a taught faith to a faith of their own. This small book will introduce you to the ideas behind Chrysalis, as well as help you know what to expect during the event. It's ideal for potential participants and church leaders considering the program. Chrysalis offers spiritual renewal to young people through a three-day experience and follow-up. Open to upper high school students and young adults (ages 19-24) of any Christian denomination, Chrysalis is an exciting three days of experiencing God's love in a fresh new way.